ARCS® Foundation is a nationally recognized nonprofit 501(c)(3) organization started and run entirely by women who boost American leadership and aid advancement in science and technology. To address the country's need for new scientists and engineers, we provide unrestricted funding to help the country's brightest graduate and undergraduate students create new knowledge and innovative technologies. 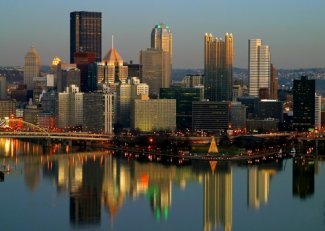 The Pittsburgh Chapter, chartered in 2003, has the additional focus of increasing the number of outstanding American scholars pursuing advanced scientific study and research in the western Pennsylvania region. ARCS Foundation provides a unique, cost-effective, and quality-assured mechanism through which corporate, civic, and philanthropic organizations, as well as individuals, can impact American scientific and technological capacity, a primary engine of national economic growth and a cornerstone of our quality of life. As an all-volunteer women’s organization, we have no staff costs, thus assuring our donors that nearly 100% of their contributions can go directly to awards for outstanding scholars. In the 14 years since its founding, the Pittsburgh Chapter has grown from a dedicated core of women supporting a single scholar, to a vital group of about 120 members. In total, members have generated individual and corporate/foundation commitments toward scholar awards of over $1.7 million and have supported 121 Ph.D. scholars in nationally-ranked science/technology research programs at the University of Pittsburgh, Carnegie Mellon University, and through 2016 Penn State University.